Technically, yes — but there’s so much more to it. Beachbody is home to exercise plans and supplements, the Portion Fix eating plan, 2B nutrition program, Shakeology, Beachbody Performance supplements, BEACHBAR, Team Beachbody Coaches, the Beachbody Community, and so much more. First, a brief history lesson: Co-founders Carl Daikeler and Jon Congdon started Beachbody in 1998 with big dreams and one mission: To help people achieve their goals and enjoy healthy, fulfilling lives. With a comprehensive approach that combines fitness, nutrition, and support, they created a complete solution for people who want to transform their lives, physically and mentally. Whether you want to lose weight, build muscle, or just learn more about nutrition and exercise, Beachbody has programs, products, and content to help you accomplish those goals. 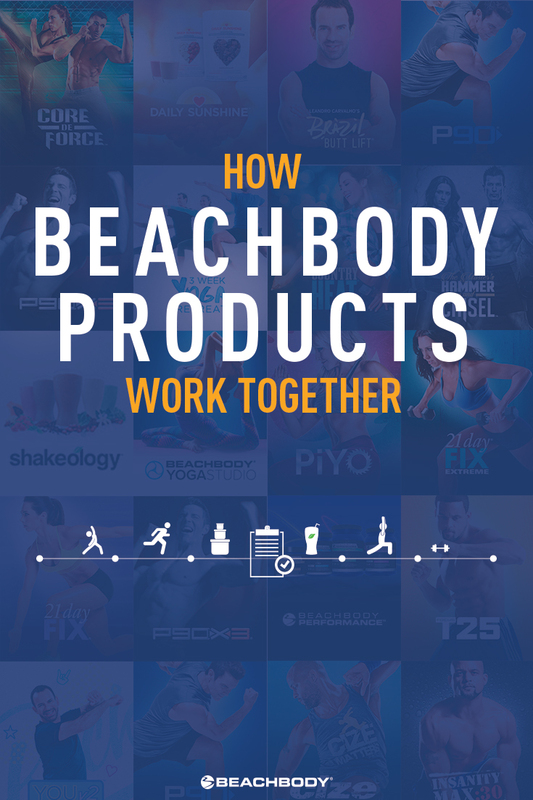 How do all the proven fitness and weight-loss solutions in the Beachbody world work together? Let’s take a closer look and break it all down. Pro tip: If you’re familiar with Beachbody, then click directly to the sections you want to know more about! It’s important to remember that everything in the Beachbody ecosystem works together in a strategic, cohesive way. Beachbody On Demand (BOD) is Beachbody’s streaming platform that’s home to 700+ workouts, with programs like CORE DE FORCE, Clean Week, SHIFT SHOP, PiYo, and Autumn Calabrese’s 80 Day Obsession. Most programs include an easy-to-follow nutrition guide. You can find free recipes and program- and calorie-level specific meal preps, and more on the Beachbody Blog. Several of the guides are based on the Portion Fix Container system and incorporate Shakeology, Shakeology Boosts and Beachbody Performance supplements to help you get the best results. The Ultimate Beachbody On Demand Guide is the hub page for all things BOD. This in-depth, comprehensive guide will help you understand how our system works. Team Beachbody Coaches are available for guidance and one-on-one support and the Beachbody Community is a place where you can ask, answer, share, and connect with like-minded people. The Beachbody Expert Advice section of the Community gives you access to registered dietitians, certified trainers, and other experts who help create our products. If you have a question about any of the fitness or nutrition products on BOD, you’ll find answers there. Once you join BOD, you can pick a program by fitness level or type of exercise, then stream it right on your desktop, TV, tablet, or mobile device. You also get access to exclusive content like Fixate, a cooking show featuring 21 Day Fix creator Autumn Calabrese and her brother, Bobby — Autumn and her chef brother show you how to make healthy Portion Fix-approved meals. All you need is an Internet connection and you can take all this great content wherever you go. 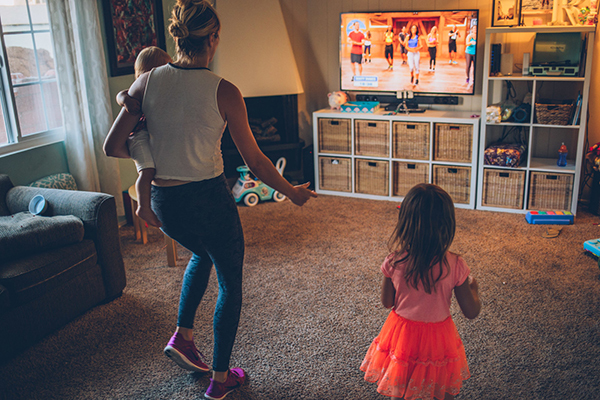 Double Time: Tony Horton’s low-impact, family-friendly program features simple, fun moves that you can do with your kids, partner, or a friend. It also comes with an eBook of healthy recipes that everyone in your family will love. Clean Week: This one-week program with Super Trainer Megan Davies introduces you to the basics of nutrition and fitness to help you kick-start new healthy habits for life. YOUv2: Get your groove on with professional dancer/Super Trainer Leandro Carvahlo with easy-to-follow dance routines featuring your favorite hits from the ’80s and ’90s. SHIFT SHOP: This unique three-week program from Super Trainer Chris Downing ramps up the intensity each week. The workouts emphasize drills that build agility, strength, and endurance, while the nutrition plan refines your diet to maximize muscle growth and fat burning. PiYo: This is a low-impact workout, but don’t be deceived: Chalene Johnson puts you to work with a combination of yoga and Pilates, with extra cardio and strengthening exercises thrown into the mix. 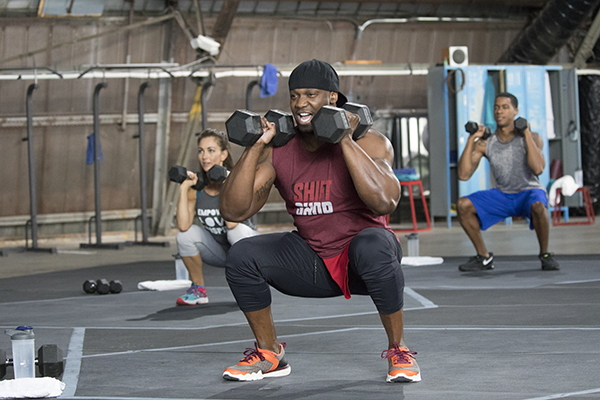 FOCUS T25: Shaun T gets your heart pumping with intense 25-minute workouts that will get you serious results. This cardio-heavy program demands a decent amount of jumping, but as with all Beachbody programs, you can follow the modifier moves. Body Beast: This weightlifting program focuses on building and defining your muscles, and shedding fat. It includes two 90-day workout schedules — one that focuses on gaining muscle mass, and the other that focuses on getting lean and ripped. CORE DE FORCE: This mixed martial arts-inspired program works your entire body without using any equipment. Super Trainers Joel Freeman and Jericho McMatthews break down all the moves to demonstrate proper form. The Master’s Hammer and Chisel: This resistance-training program is led by 21 Day Fix creator Autumn Calabrese and Body Beast creator Sagi Kalev. Six days a week for eight weeks, you alternate between muscle-building workouts and sculpting, cardio-based workouts. P90X3: In this program from the P90X series, Tony Horton takes you through variety of workouts inspired by mixed-martial arts and Pilates, as well as upper- and lower-body strength training, so you’ll never be bored. You’ll work out six days a week, with an optional active recovery workout on the seventh day. 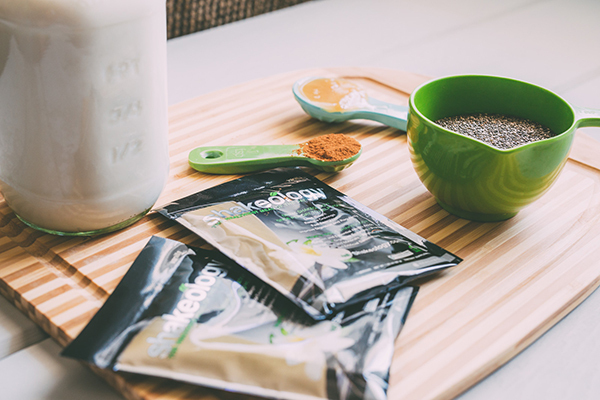 You’d have to eat a whole lot of different foods to get the phytonutrients, antioxidants, enzymes, pre- and probiotics, fiber, adaptogens, vitamins, and minerals in a single glass of Shakeology. Registered Dietitian Nutritionist Ilana Muhlstein co-created the 2B Mindset to help people win the weight-loss battle for good. This nutrition program can help you lose weight — happily — without feeling deprived or hungry, without exercising, without counting calories, or cutting out whole food groups. The 2B Mindset addresses the number one issue with weight loss and weight management — food. Exercise is critical for living a healthy, functional life, but as they say, abs are made in the kitchen — and that’s the problem the 2B Mindset solves. 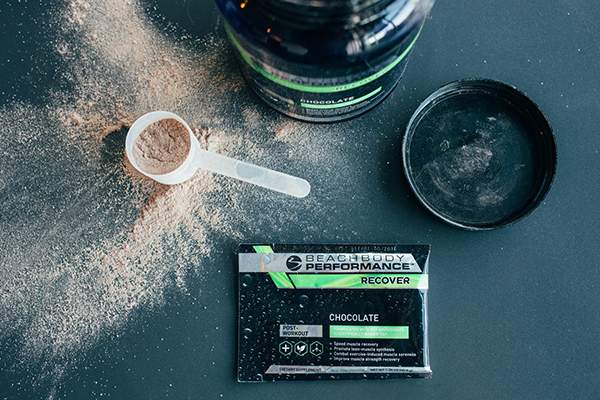 To help you make the most of your workouts, there’s the Beachbody Performance (BBP) supplement line. Whether you want to lose weight or build serious muscle, these five products can help you hit your goals. 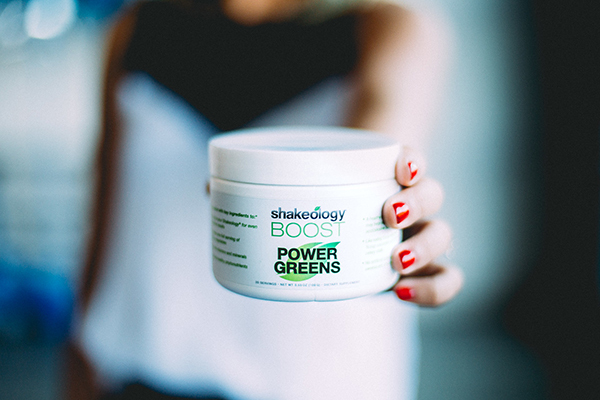 Power Greens contains veggies like cucumber, kale, and spinach to deliver a full serving of vegetables in each scoop. 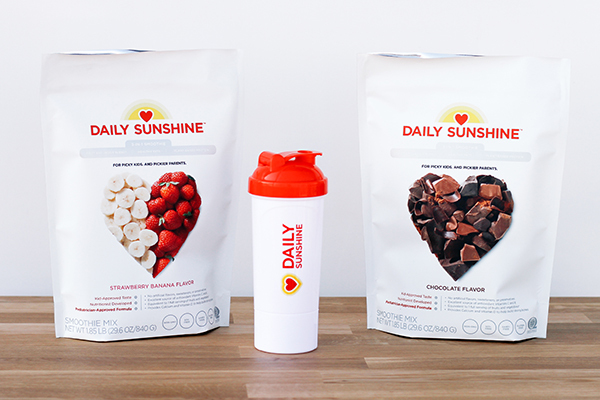 While Shakeology was created for adults, we’ve got your kids covered, too: Daily Sunshine is a healthy (and tasty!) shake formulated for kids and their unique dietary needs. It comes in two kid-approved flavors — Chocolate and Strawberry Banana — and provides the building blocks of nutrition that kids need every day: an organic fruit and veggie blend, protein, and healthy fats. Daily Sunshine is soy-free, dairy-free, gluten-free, and non-GMO, and it contains NO artificial flavors, sweeteners, or preservatives. The BEACHBAR is a crunchy, chewy, and delicious snack bar that is a good source of protein and just 150 calories. BEACHBAR comes in two flavors: Peanut Butter Chocolate and Chocolate Cherry Almond. 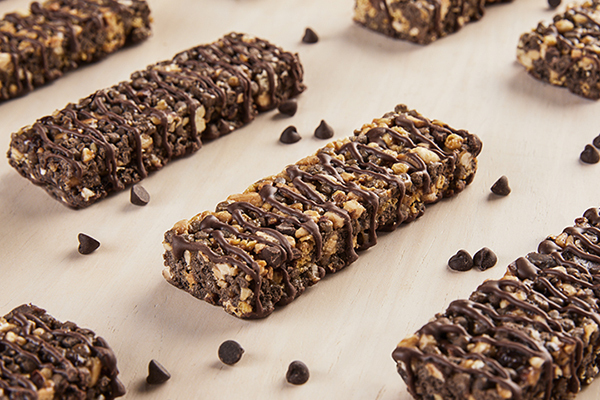 Both flavors are made with nut pieces and nut butters, protein crisps, and topped with a ribbon of chocolate. They are gluten-free, have zero grams trans fats, and contain no artificial colors, flavors, or preservatives. At 150 calories per bar, you get 10 grams of protein, four grams of fiber, and six grams of sugar. Get some today! 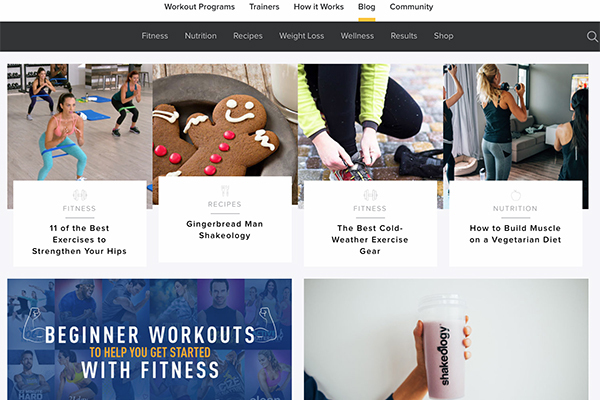 Here, you’ll find Shakeology recipes, Portion-Fix approved meals, meal plans, nutrition and fitness content, inspiring Before and After stories, and much more. 21 Day Fix Results: She Lost 109 Pounds — and Kept It Off! Having an accountability partner or group can give you that extra kick in the rear when you’re dragging, and support when you’re not sure if you’re doing things right. In the BOD Community, you can get advice from Official Beachbody Experts, share recipes, post your success story, ask for tips, or start your own conversation. You can also stay up to date on all things Beachbody by following us on Pinterest, Facebook, Instagram, and Twitter. Your free Team Beachbody Coach can help you stay on track with one-on-one support and Challenge Groups: A group made up of people who are all committed to getting healthy and fit. * 12 Month With Shakeology Challenge Pack: This includes access to our programs, exclusive trainer workouts, a 30-Day supply of Shakeology, a set of Portion Fix containers, and a free personal coach. * 12 Month Plan: This plan includes access to 700+ workouts, new program releases, and exclusive trainer workouts. Step 2: Find a program that works for you. You can take an interactive quiz to find the program that fits your goals. Step 3: Each program comes with its own nutrition plan that includes food lists, recipes, and easy-to-follow guidelines. Most plans are based on the Portion Fix Container System and incorporate Shakeology and Beachbody Performance supplements to help you get the best results. Talk to your Coach to make sure you have everything you need.